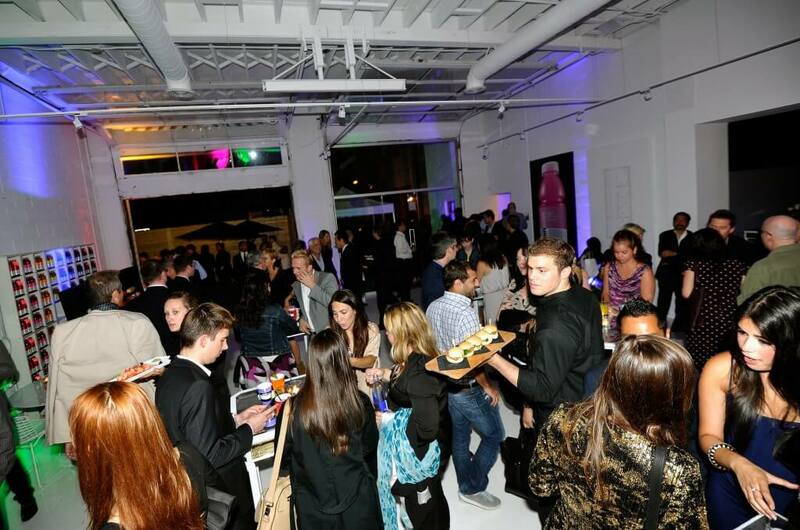 Image courtesy of TheBuzzBuzzHome Blog: the general ambiance inside the Vitamin Water sponsored after-party for The Perks of Being a Wallflower. While it’s not unusual for a downtown development’s presentation centre to double as an event space, it is much less often that such a space becomes one of the hippest spots in town. Curated Properties, the developer’s of the Edition/Richmond Residences that are currently in pre-construction in Toronto’s Queen West, have seen their nontraditional presentation centre become one of the city’s most in-demand hotspots. The space has played host to a wedding, a Canadian Country Music Awards Party and most recently three high-profile parties during this year’s Toronto International Film Festival. Jump worked with Curated Properties on creating the branding and marketing materials for this project, as well as the logo design that now marks the exterior of the presentation centre. Occupying a former auto garage, the space has been completely white-washed by the renowned designers of Cecconi Simone to give it a clean, art gallery vibe. The team at Jump meanwhile oversaw the creation of the ‘Neighbourhood Edition’ Gallery that hangs within the interior. Working with photographer Graham Powell to capture the landmarks, people and businesses unique to Toronto’s hippest neighbourhood, the bold, black-and-white 8X4 images create striking visuals within the space. 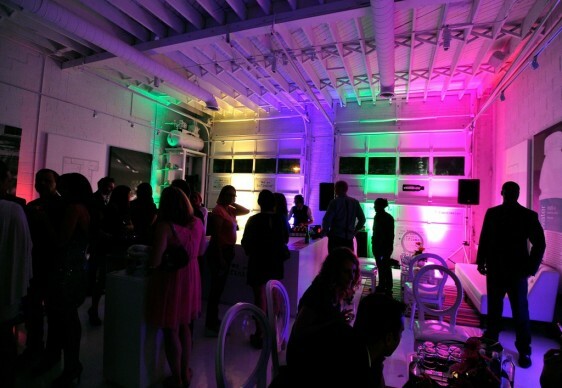 TheBuzzBuzzHome Blog has pictures from inside the the after-party for the film ‘The Perks of Being a Wallflower’ that show off more of this super unique designer space. As well be sure to check out Edition/Richmond’s website for more details on this exciting development that is now 70% sold, and remember to jump back to our news blog as well as our branding design page for the latest updates from Jump and our clients. Images from Jump and Graham Powell’s ‘Neighbourhood Edition Gallery’ hang along the far wall as party-goers enjoy their evening.